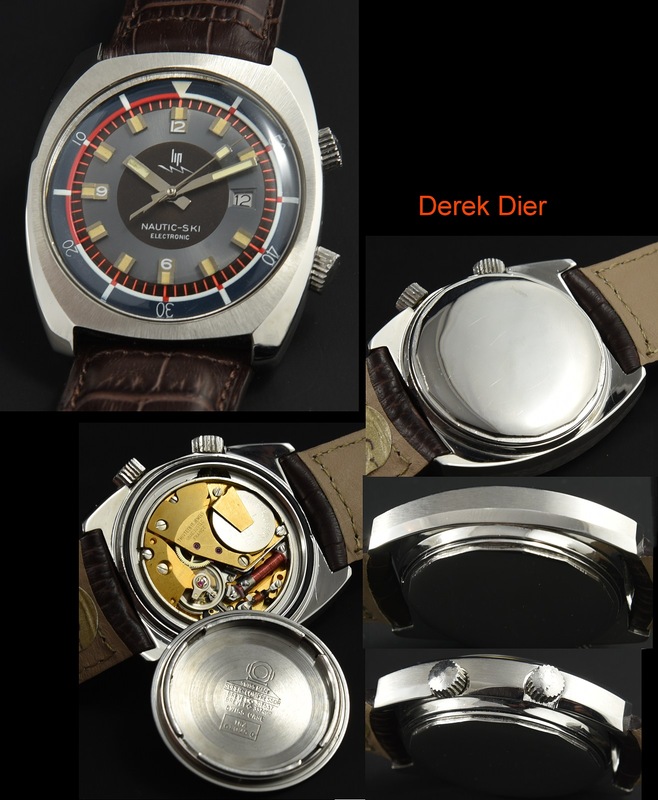 This 37mm. 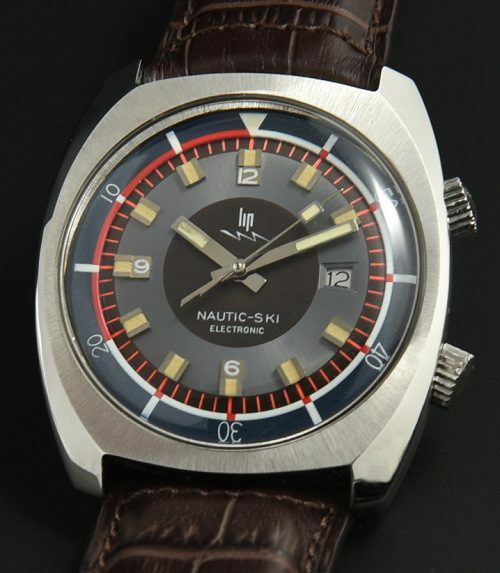 LIP Nautic-Ski is a very cool 70’s electro-mechanical (battery operated) vintage watch with a beautifully glistening steel super-compressor case, lighting bolt second hand and exotic dial….all looking close to pristine. This watch is keeping accurate time. You will love the look of this cool watch on your wrist. Only $1250.